Dr. Kennedy is Associate Dean, Interprofessional Practice, Education, Policy, and Research and holds the Ida Johnson Feaster Professorship in Interprofessional Practice and Education with the University of Kansas School of Nursing, University of Kansas Medical Center. 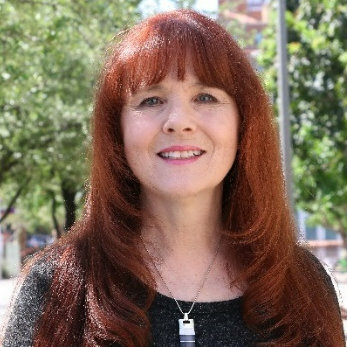 She previously served as Director, Office of Gerontological and Interprofessional Initiatives with the School of Social Work, College of Public Service and Community Solutions, and Faculty Lead: Clinical Partnerships, Center for Advancing Interprofessional Practice, Education and Research (CAIPER) with Arizona State University. She serves on the Nexus Learning System Advisory Committee and National Advisory Council for the Accelerating Interprofessional Community-Based Education and Practice initiative, National Center for Interprofessional Practice and Education (NCIPE), and as Interprofessional Education/Collaborative Practice Track Chair, Council on Social Work Education. She is a Distinguished Scholar and Fellow, National Academies of Practice and Social Work Academy and Fellow, Gerontology Society of America, Social Research, Policy, and Practice Section. She chairs the Advisory Committee on Interdisciplinary, Community-Based Linkages, Health Resources and Services Administration, U.S. Department of Health and Human Services. She was a 2015-16 Health and Aging Policy Fellow and American Political Science Association Congressional Fellow, serving with the Senate Special Committee on Aging through Senator Jeff Flake’s (R-AZ) DC Office through 2017. She served on the Arizona Governor’s Advisory Council on Aging and is Past President of the Arizona Geriatrics Society. She received the Mit Joyner Gerontology Leadership Award (2011) from the Association of Baccalaureate Social Work Program Directors and Association for Gerontology Education in Social Work, and Outstanding Social Work Program Director award (2010) from the Association of Baccalaureate Social Work Program Directors. Dr. Kennedy has 17 years of direct practice and administrative experience serving older adults and their families through the provision of health, behavioral health, and social services in home and community-based, home health, in-patient, and skilled nursing faculty settings. Her Kennedy Model of Sustainability was adopted in 2018 by NCIPE as part of their Nexus Learning System model and used for a national IPE initiative. She is also an indie singer/songwriter with multiple CDs of traditional, contemporary, and original music.